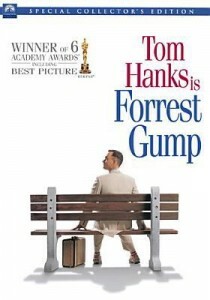 Forrest Gump is told from the point of view of Forrest, played by Tom Hanks, and has a tall tale feel to it that will keep a satisfied smirk on your face throughout the movie. Forrest is born in Alabama, and he is not very bright, but despite this, or maybe even because of it, he throws himself into everything he does. With extraordinary luck, he manages to appear at the scene of many pivotal moments in the 50s, 60s, and 70s, and the movie superimposes him into actual footage of these events—it’s a lot of fun. His one desire is to woo the girl he grew up with, the love of his life, Jenny. 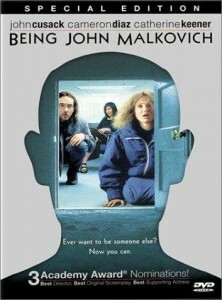 Though the movie is funny, it also deals with a lot of heavy topics, and the ending is bittersweet. Forrest has so much heart that you will cheer for him until the end. 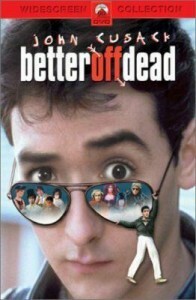 Starring John Cusack, Better Off Dead is a cult, coming-of-age classic from the 80s which has catch phrases a plenty, quirky characters, and ONE LANE MEYER. Lane, a high school student, is having a bad year what with his girlfriend dumping him among other family crises. So, he decides to kill himself. But don’t worry, he isn’t very good at it, and in the end, he learns the language of love and has a renewed interest in living. 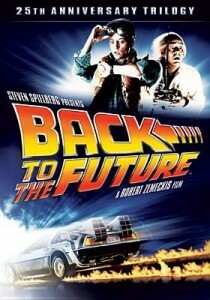 This is a great movie and very funny, which you will want to watch again and again. Will Hunting (Matt Damon) is a rough around the edges South Boston youth who is a mathematical genius, but he is dealing with a lot of internal issues and he seems destined for a life spent in and out of prison. 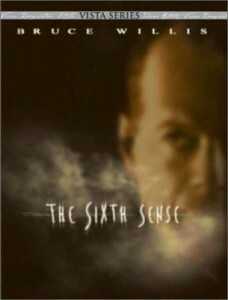 When his talents are discovered by a local MIT professor, Will is required to meet with a psychologist (Robin Williams) who finally starts to get through to him. Will’s transformation is subtle but inspiring. 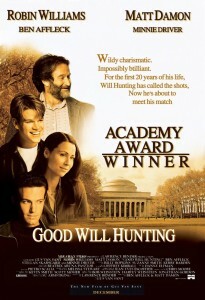 Williams won Best Supporting Actor for his role, and Damon and Ben Affleck, who also stars in Good Will Hunting, won for Best Original Screenplay. Despicable Me is a laugh out loud movie that you can watch even if you don’t have kids. Steve Carrell is perfect as the voice of Gru, a super villain scheming to steal the moon. What he doesn’t bargain on are three orphan girls who steal his heart. 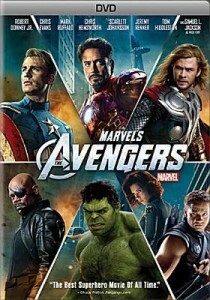 This is a very funny movie. And the fun continues with Minion Madness and Despicable Me 2. Okay, if you like The Simpsons television show at all, you will laugh out loud at the movie more or less all the way to the end. It’s basically a supersized version of the TV show, and it even has moments that touch your heart (in a Simpsons’ sort of way). In The Simpsons Movie, Homer has polluted Lake Springfield, which prompts the evil head of the EPA, voiced by Albert Brooks, to have a giant dome placed over the entire city. Meanwhile, the Simpson family goes on the lam to Alaska only to return to try to save their hometown which has been slated to be nuked. There is the typical Simpson family dysfunction, there is the entire Simpson cast of characters, and most importantly, there is Spider Pig. 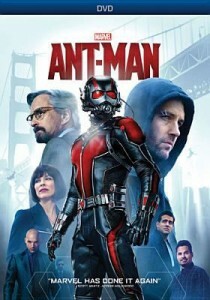 This is a fun movie!